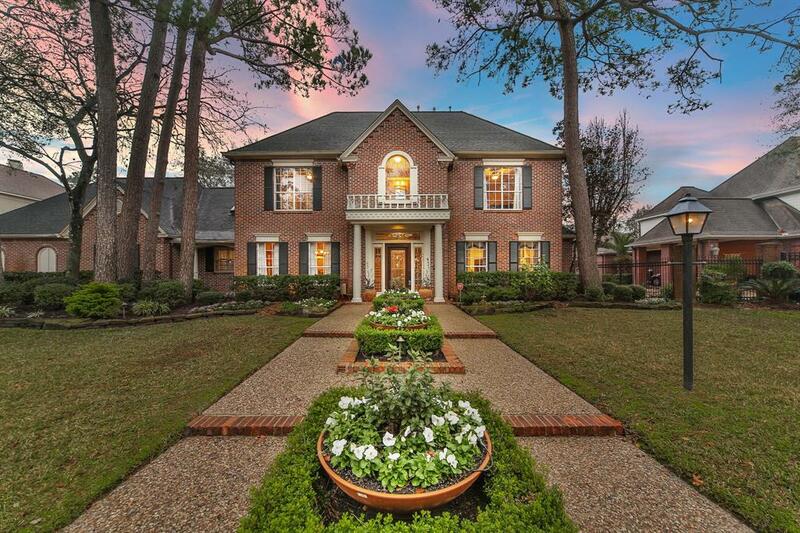 Gracefully situated on a spacious cul-de-sac lot in the exclusive community of Huntwick Forest, this exceptional home has undergone a $150k renovation, including sumptuous hardwood flooring, custom millwork throughout, plantation shutters, lighting, and granite countertops. Other notable features include 3 stairways, 3 fireplaces, 2 wet bars, stunning family room with a wall of French doors and transoms overlooking the scenic backyard, formal dining room, study, game room, private guest quarters with its own entrance and living area, recently replaced HVAC and water heater, and 3-car garage with workshop. Hone your culinary skills in the island kitchen featuring double ovens, induction cooktop, mosaic backsplash, and breakfast bar. The gorgeous master suite boasts a sitting area, 2 spacious walk-in closets, separate vanities, whirlpool tub, and frameless shower. The backyard is an outdoor paradise with extended covered patio, 8ft deep pool, and spa. Your dream home awaits.